It seems like you won't need much more than your swimsuit, towel and a good book when you head to the beach, and of course blue skies and sunshine. But you won't regret adding a few more essential items to your beach packing list if you want the trip to go swimmingly. 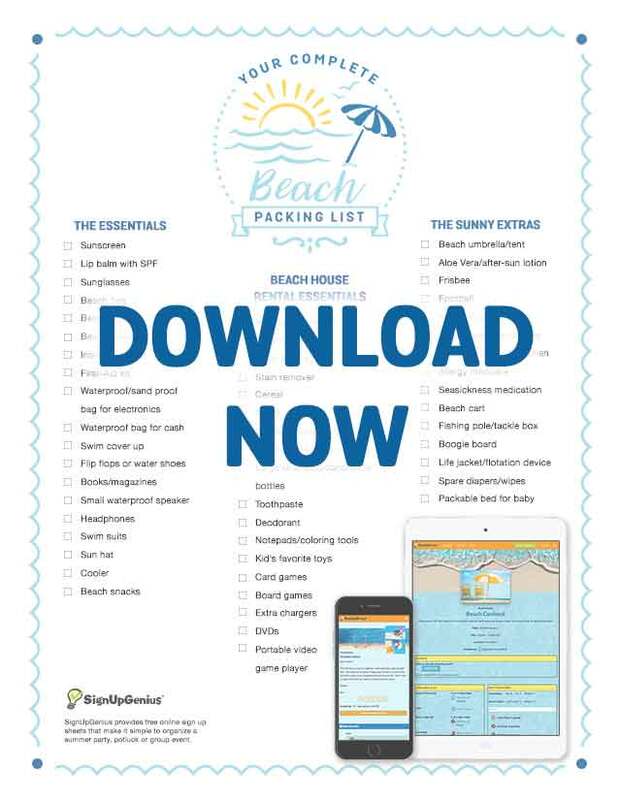 Use this complete guide to help you remember all the sun and sand essentials to make your next trip a splashing success! Block those UVs - At the top of the list are sunscreen/sunblock, lip balm with SPF and sturdy sunglasses (and perhaps a couple of spare pairs). You’d think that's a no-brainer, but it's good to check it off first so you don't pay an arm and leg at the souvenir shop! Beach Bag - Selecting one with a clear or mesh front for viewing contents can help you avoid excessive searching while bent over in a swimsuit. Beach Chairs - These are a beach-sitting essential for a reason, keeping your tush up off the hot sand and providing lots of pockets to keep things out of the grit. Call ahead to see if you can rent them if you don't want to bother with buying these. Beach Towels - These are also essential, but prone to collecting lots of sand, so save them for drying off from the waves or have separate sitting and drying towels. Insect Repellent - You might not think you need this, but take a walk along the dunes or maritime forest and you will thank us. Cash and Phone Safe Spots - Be sure to pack a waterproof/sandproof bag for your phone or other electronics, and a waterproof bag for cash in case there is an ice cream or umbrella-drink stand close by. Beach Wardrobe - A swim cover-up for everyone, and sand-friendly flip flops or water shoes (something you aren't afraid to hose off) help for trips back and forth to your accommodations and across the hot sand! Beach Reading - There is always a chance of wet pages, so take a paperback that won't be missed if it gets ruined or a large Ziploc (big enough to house the opened book) for extra protection. Small Speaker for Music - Take an inexpensive one that you won't mind getting sandy (ear buds are great, too) and that has volume control so you can be mindful of other beach-goers who may not appreciate your taste in ‘80s hair bands. Swim Suit - Bringing two is never a bad idea to avoid the cold, wet swimsuit on day two. Same goes for beach towels, though those can be thrown more easily in a dryer if one is available. Beach Babies - It will be a short trip to the beach without spare diapers or wipes — so pack plenty! A life jacket or other flotation device is an essential if you plan on putting your little one in the water. Don’t forget UV protectant swim shirts and hats for sensitive baby skin. If you won't have accommodations nearby, consider taking a light reclining stroller or packable bed for napping in the shade. Cooler and Snacks - You can stay hydrated on a short trip by sipping from stainless steel drink holders. For a longer stay (or if bringing drinks in plastic bottles and cans), pack a small cooler with your beverages of choice and some ice packs. (Loose ice can make a mess and combined with sand … ew.) Take along some granola bars, fruit snacks or nuts to help ward off hunger. Beach Umbrella or Tent - This could be on your "essential" list if you are in the sun for several hours or most of the day. It can really extend your on-the-beach time after you start feeling crispy. Buy a sand auger for digging a hole in the sand for your umbrella; it makes life (and anchoring your umbrella) a ton easier. Sun Hat - A baseball cap or head scarf also work. Aloe Vera/After Sun Lotion - This goes on the essential list for families that tend to miss a few spots with the sunscreen (and if you’re on the pale side). Beach and Water Toys - Bring along a football, Frisbee, soccer ball and other sports equipment for low tide play times and breaking up a day of lounging. Younger children will enjoy digging in the sand with beach buckets and shovels. Drawstring Bags for the Kids - Depending on ages, kids can pack their own beach bag with a towel, toys and water bottle for the day. Trash Bags/Plastic Bags - These always come in handy to stash wet items and trash. Beach Pharmacy - For sunburn, a pain reliever can help in addition to aloe and sunburn relief lotion, so don't forget some ibuprofen or acetaminophen. You’d be surprised but allergies can flare up around the ocean fauna and flora (plus mold) so don't forget your favorite home allergy relief. Ocean Meds - If you plan to get out on the water on a dinner cruise or day of fishing, throw in some over-the-counter seasickness medication. 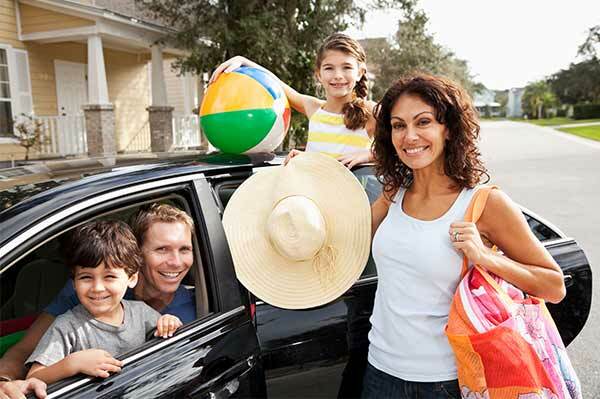 Even if you don't need it, someone else might, and you will be the hero of their trip! Haul it All - Beach carts are on the market for a reason, because sometimes getting everything out on the sand makes the struggle REAL! A beach cart can really simplify being the designated beach porter, especially if you need a free hand to hold onto a little person. Fishing Poles and Tackle Box - For fishing on the pier or if you’re chartering a boat. Boogie Board - Show off your body surfing moves with these fun items. These may be available for rental at your beach, so check ahead of time. Laundry Needs - Bring HE (high-efficiency) tabs or liquid because you can use them in both a high efficiency and regular washer (using regular detergent in high efficiency washers produces excessive suds), dryer sheets and stain remover. Food and Beverages - If you have a kitchen, bring some non-perishables like cereals, crackers, canned soup, snack items and bottled drinks (which can go in a cooler for the beach, too). Paper Products - Though your place may have dishes, you can give the family dishwasher a break for a meal or two by throwing in some bowls, plates and plastic cutlery. Toiletries for the Family - Take large bottles of shampoo and conditioner, toothpaste and soap for bathrooms and leave each family member responsible for a toothbrush, razor, hair brush/hair ties, contacts/glasses and deodorant. Throw in feminine products for the lady travelers, just in case. Storage Containers – If staying at the beach for an extended time, you’ll likely have leftover food that you need to store, and rental properties can run short on these items. A roll of aluminum foil or plastic wrap can also come in handy. Indoor Activities - For an extended stay at the beach, throw in a video game console or laptop, notepads and coloring pens, card games, board games or other toys for inside play in case a storm pops up unexpectedly. Do a little research and take along a list (or ask locals) for indoors activities like putt-putt golf or an aquarium. Of course, if your beach trip includes an airline flight, some of these items may need to be bought beachside (or deemed unnecessary). Get ready to enjoy a summer of sand and fun! Don't forget to take the leash if you plan on getting the dog on the way home! 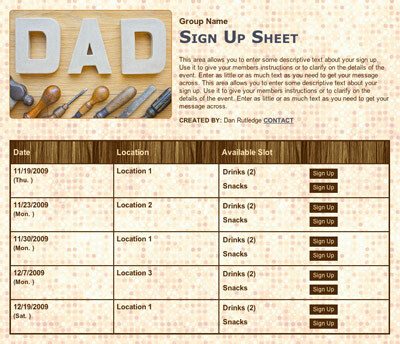 Plan a summer cookout with an online sign up. This season, I reluctantly undertook the role as "Softball Mom" and was tasked with recruiting parents for concessions and gate duty for home games as well as refreshments for all games. 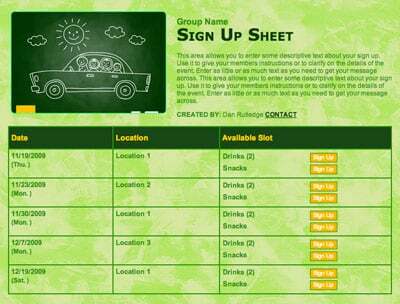 It was so great to set up the entire schedule on SignUpGenius.... It was so easy, and everyone was so impressed with the site! I love that I can print out a sign up sheet for those not internet savvy and add them in myself! You've really thought of everything!